Nobody could have guessed Donald Trump feeding fish would have sparked such a huge furore this week, but it has happened. The US president, who is on a five-nation tour of Asia, was with Japanese prime minister, Shinzo Abe, when they stopped to feed koi carp at Akasaka Palace. 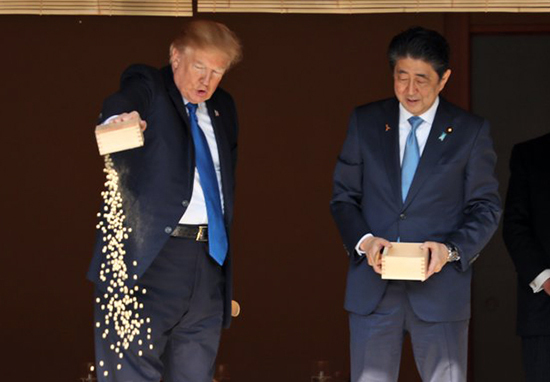 Trump and Abe started off spooning fish food into the pond before Trump was photographed just tipping out the whole lot. This quickly went viral with some reporters speculating the president had been wrong in just throwing the food out like he did. Trump literally can’t even feed fish right. He. Can’t. Feed. Fish. How can he be the leader of the US if.. HE CAN’T FEED FOOKIN’ FISH!? Trump literally can't even feed fish right. How can he be the leader of the US if.. HE CAN'T FEED FOOKIN' FISH!? However, the full footage was published showing Trump was merely following Abe’s lead. That’s right, the Japanese prime minister had actually done exactly the same thing just moments before, but that had been ignored. I hate myself for saying it, but I guess it is what they call ‘fake news’. I’m sorry. Folks, 26 people were shot dead in Texas yesterday. I really don’t give a damn that Trump dumped a box of fish food into a pond. Not today. 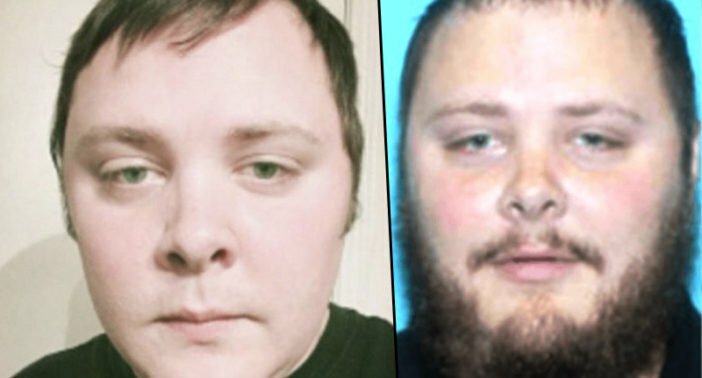 While Trump is over in Asia, Devin Patrick Kelley, 26, opened fire and killed 26 people at a church in Texas during a Sunday service. Kelley walked into the First Baptist Church in Sutherland Springs yesterday armed with a semiautomatic rifle and left at least 26 people between the ages of five and 72 dead, with more wounded. The killer, who the US Airforce said was a former serviceman, was reportedly killed by two local, armed men who engaged gunfire with him before chasing him in their car. Kelley was reportedly wearing full body armour and a ballistic vest. Neighbours of an address listed to be Kelley’s said that they heard intense gunfire from the direction of his house in the last few days, according to the Independent. It’s really loud. At first I thought someone was blasting. It was someone using automatic weapon fire. 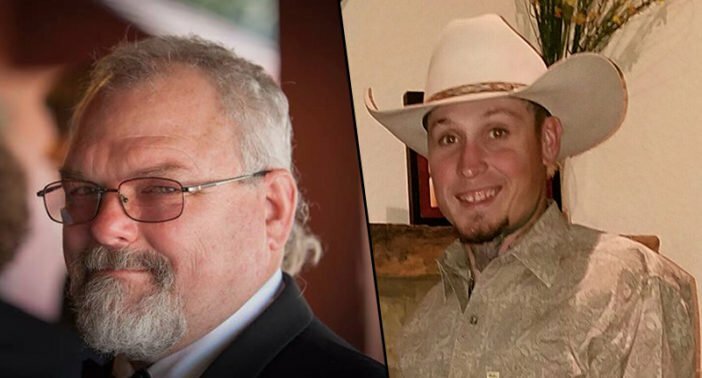 Two men faced the shooter and have been named as local plumber Stephen Willeford, 55, and Johnnie Langendorff, 27. Willeford, a neighbour of the First Baptist Church of Sutherland Springs and a keen biker, ‘grabbed his rifle and engaged the suspect’. It’s reported Willeford has ‘no military experience’, he was described as having ‘an excellent shot’ and when he came face to face with Kelley, who he shot in between his body armour without hesitation. Langendorff was driving home when he changed course to the scene of the shooting where Willeford quickly briefed him and they went in pursuit of Kelley’s vehicle. Langendorff reported driving at 95mph while on the phone to dispatch while Willeford kept his rifle trained on the gunman’s car. What heroes. Police report Kelley turned the gun on himself after losing control of his vehicle, writes the Daily Mail. Despite all these deaths involving guns, Donald Trump has maintained the mass shooting is ‘not a guns situation’.